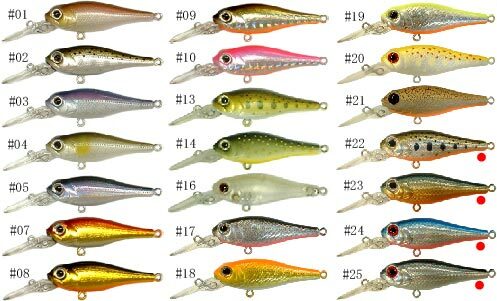 Jade is a real minnow shad which incorporated "completely-fixed weight silent system" (soundless). Jade MD has a thinner body width to realize closer silhouette to small fish and natural action. It also features responsive tight wobbling action, high stability in regular retrieve, and high appeal to fish, and swims not only in still water but also in the stream against water pressure. The best for Trout & Bream Fishing.